One problem is how can you query this massive data. 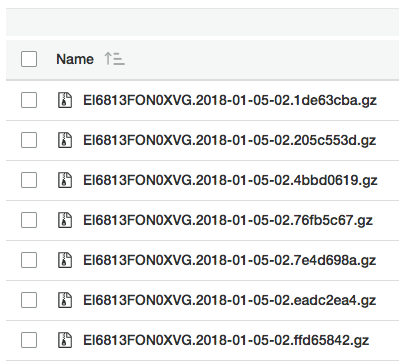 Well, we can always just download all those csv.gz files to your local machine and query it. you can use AWS Athena to query the logs in S3 in truly serverless manner. Only one problem is that we can’t use Athena table partition for this type of logs. For those whom not familiar with Athena table partition, Partition is literally indicating where the data is stored, with some flag parameters that can be used for identifying given partition. The reason why you need this is simple. To let Athena to only scan the data that you need to scan. However you write this query, Athena will “read” all the data if you don’t use the partition. and you have to pay for that reads. And Presto (Athena) will read conditions for partition from where first, and will only access the data in given partitions only. As a result, This will only cost you for sum of size of accessed partitions. Then you might ask, why AWS official guide doesn’t even mention about partition if it’s that crucial? Presto (which is what the Athena is under the hood) doesn’t support those kinds of prefix or regex or wildcard based location since it’s originally built for HDFS(Hadoop). I’ve even got confirmed from AWS support about this, and there isn’t any clear timeline about when this will be supported by Athena. But like i said earlier, using partition is really crucial especially if you’re dealing with massive traffic. 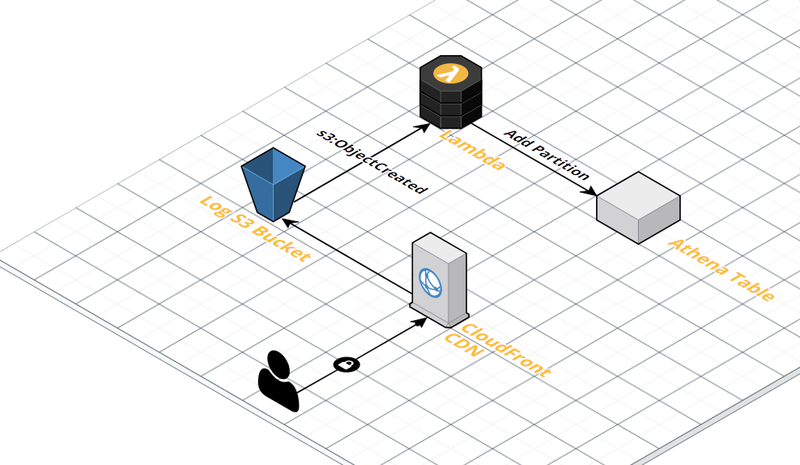 so I’ve come up with serverless solution for this. When new log file created in S3, trigger Lambda. I’m already managing CloudFront with serverless framework, So whole thing written based on serverless and CloudFormation. Depends on your situation, like if you already made cloudfront, you might need to some of this on AWS console directly. You can see left query scanned 1.49GB, right scanned 1006MB depends on partition query! nice.